Full Potential, Now! Episode 25 - Kyczy Hawk - Recovery Yoga - Full Potential, Now! In this week’s episode of Full Potential, Now!, Ted learns all about the world of recovery yoga with author and certified yoga instructor Kyczy Hawk. Kyczy is the founder of the yoga teacher speciality-training program SOAR, Success Over Addiction and Relapse. 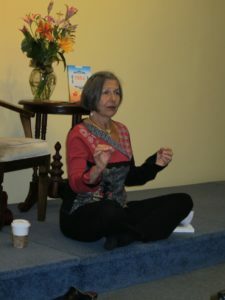 You can find her books, like Yogic Tools For Recovery or Yoga and the Twelve-Step Path on Amazon. Kyczy Hawk was born in San Jose, CA. As a child she traveled extensively in the Middle East; returning to the US as a teen in San Francisco. Laying the groundwork for her future need for recovery; she was an eager member of the 60’s culture. 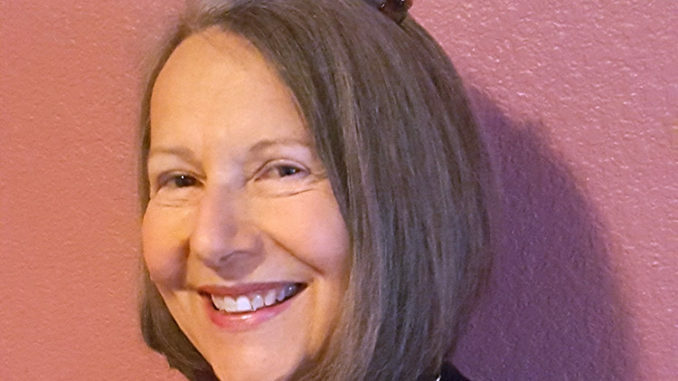 Finding recovery from alcohol and drugs in the early 80’s she embraced her sober lifestyle, becoming a better mother, daughter, employee and friend. Into her second decade of recovery found she had hit a plateau; even with active involvement with her 12 Step program she needed more. Yoga offered that. Currently teaching independently, with non profit groups, and in informal settings she also presents workshops on Yoga and Recovery as well as teacher trainings. 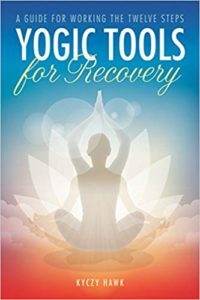 This week, we’d like to recognize guest Kyczy Hawk’s most recent book, Yogic Tools for Recovery: A Guide to Working the Twelve Steps. You can find Kyczy’s FREE chapter-by-chapter meditations here.